In case you haven't heard, Marvel's The Avengers is on the fast track to making a billion dollars, and there are people betting it might even hit the 2 billion dollar mark. 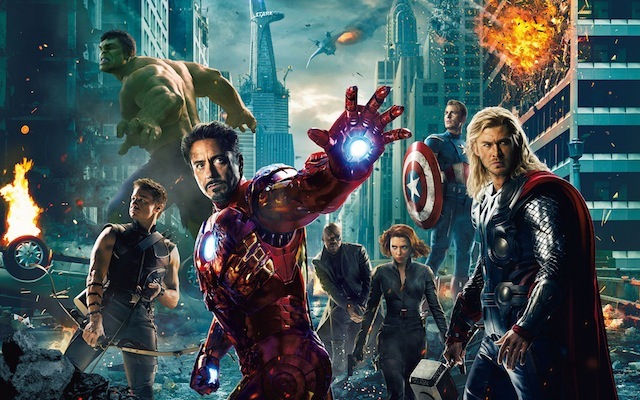 Walt Disney Company CEO Robert Iger has already stated that Avengers 2 will happen, but was vague on the timeline, my gut tells me to expect it no later then 2016. In the same conversation he mentioned that they are working on ways to bring The Avengers in to the Disney Parks. However, by parks he means Disneyland Resort and the foreign parks because for now, Universal still has the Theme Park rights to the characters "East of the Mississippi". Knowing that, I believe I've come up with a logical way that The Avengers can be introduced to Disneyland Resort and not be an "abomination" to the Disney purists. Let me start off by taking you back in time to 2010 when Iron Man 2 came out. One of the key things in that movie was the Stark Expo. And the bits with Howard Stark are reminiscent of Walt Disney if he was a scientist. 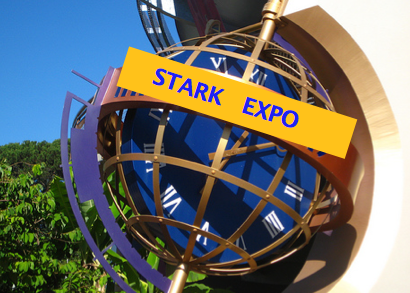 In a way the Stark Expo was pretty much what Epcot is supposed to be, and in a way, its also similar to the original version of Tomorrowland. Last summer there were rumors that the Stark Expo would replace Innovetions, they have since been proven false, however lets pretend Disney wanted to do this for real. Instead of being greeted by the annoying Tom Morrow, you are now greeted by Iron Man, who will tell you to be sure to check out all the demonstrations inside the building before heading over the the Shield demonstration (in the Magic Eye Theater). Inside they could have many of what they have now, but it will also act as your que for the 3D film of the Avengers (Shield presentation). You can still have the dream home, Asimo, and more, but you will also have a "scientist" showing off Captain America's gear (shield especially). You will then see Thor's hammer in a "sword in the stone" style device that gives kids the chance to try to lift it, and for the lucky kid that does it, they are made an honorary Asgardian (given a Thor head piece). As you work your way around the lower level of the building then head up you will be asked if you'd like to see the SHIELD presentation. If you say yes, the cast member will direct you to one side where you join the line for it, if you say no, they will direct you toward the exit. Once you are in line you will head across a new skybridge that will drop you down in to the current que are for the Magic Eye theater where you see an intro/safety instructions video of Agent Maria Hill. After you are in the theater, you will be instructed by a SHIELD agent to put the glasses on to "protect your eyes". The movie will begin with a SHILD scientist giving a demonstration of some new tech, when all of a sudden some bad guy comes in, the camera will pan to Director Fury who will call upon the Avengers to assemble at your location to save the day. they all arrive from different directions and group together, discuss a couple bits of the game plan, then head off to fight the bad guy (and you keep watching the whole action sequence). Oh, and the added bonus is that all of the characters are played by the same actors as in the film. 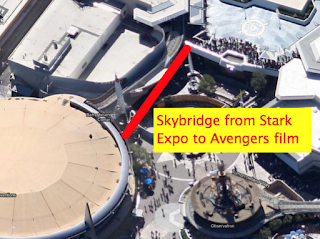 One thing that would have Bob Iger, Tom Staggs, and George Kalogridis giddy about this, is that the only way to see the Avengers film (which would be very popular if its as good as the movie), is if you actually go through the Stark Expo. For a long time Innoventions has mostly been a "waste" of a space because so few guests venture in there, however this would force them to go in. Please leave your general thoughts on this idea in the comments below, or fee free to tweet me what you think. EDIT: So, I went for round 2 of the movie last night, and woke up to see that the movie has broken daily records the whole run so far, it broke the second weekend records, fastest to a billion, and is currently ranked 18th for all time domestic and 11th for all time global grosses. There is no question in my mind that it will beat Harry Potter's 1.3 billion, but the question on my mind is can it beat the box office totals of Titanic - $2.12 billion or even better, can it top the number 1 movie (box office) of all time, Avatar's 2.78 billion? Time will tell. Personally, I think it can give Titanic a run for its money, but while Avatar has the wort story I've ever seen in a movie, it'll be a challenge to beat it box office totals, simply because of the time of year.